Some of my definitions are scattered across this site and mostly in terms of why-dogs-do-what-they-do, but what follows is a more concise summary. ENERGY: An action potential, a differential of force between two poles. Energy in animals builds up by virtue of a bipolar, two-brain makeup each with its own divergent agenda just as if they are two terminals in the body/mind as an emotional battery attracting ionized charged particles. The tension can be defined as such, the Big Brain seeks stasis; the little brain seeks input. (Thus, all physical, hormonal and neuro-chemical energies are funneled through this divergent agenda into a whole body state of tension. The body/mind is displaced by stimuli which thereby augment the underlying state of tension that must seek release. This means that the confluence of all this energy functions as a virtual “force” of attraction toward that which can render relief/release. The body/mind becomes a displaceable medium, like a standing pool of water, an elastic membrane or like the space/time continuum. Thus whatever one can say of gravity, one can say of emotion and vice versa.) The Big-Brain-in-the-head projects energy, the little-brain-in-the-gut absorbs energy. The B-B is the predatory polarity; the l-b is the preyful polarity, two halves of one circle. CONSCIOUSNESS: Energy that reliably repeats itself by reflecting back on itself. It is therefore a circle, a circle is the means by which energy becomes information (energy traveling in a circle, or wavelength, is energy coming-into-form – – > in-form-ation). This is not as simple as it first appears because since consciousness is energy that reliably repeats itself, it must therefore create circuits with the external surroundings and therefore, given the reality of friction and fractiousness on planet earth, these circuits sustain themselves by always adding energy to the network. Thus we observe the evolution of complexity and ultimately, self-consciousness and self-awareness as the highest expression of energy reflecting back on itself. INFORMATION: Nobel laureate Dr. Gell-Mann in his book “Quark and the Jaguar” states: “Basically, information is concerned with a selection from alternatives, and it is most simply expressed if those alternatives can be reduced to a sequence of binary choices, each of which is between two equally probable alternatives.” However I feel this is a classical view of information. The most basic definition of information is that because consciousness requires energy to reflect back on itself, the easiest way to do this is to create a field of mutual attraction around a midpoint so that all entangled particles are part of an auto-tuning/feedback dynamic to sustain the circle. Therefore all animals are motivated first and foremost by a virtual “force” of attraction so that they revolve around a midpoint. The most basic form of information is the network that sustains and regenerates itself by constantly adding new energy. Information requires a network because the easiest way to create a field of mutual attraction is by virtue of components being attracted to each other. Organisms attracted to each other in such a way that adds energy to the network is the most fundamental definition of information. Thus we see that animals are always attracted to energy in consonance with the fundamental motive of the network to add energy, and are self-organizing into complex social structures in consonance with the fundamental definition of information. Energy is motion. Form is motion that repeats itself. Consciousness is a form of energy that reliably repeats itself. A circle turns energy into form. It takes a network to make information. EMOTION: A monolithic (dull) “force” of attraction caused by a release from a state of tension instituted in an animal’s constitution by virtue of an animals’ two brain makeup. Furthermore, it is a source of momentum that requires a discrete amount of motion in order to render a null value. Emotion comes first, and then the physical aspects arise on its template. Emotion is consciousness’ interface with the physical dimension. As the physical embodiment of the laws of nature, it is the operating system of animal consciousness so that life forms can respond coherently in the natural realm, which is likewise organized according to the laws of nature. As a “force” of attraction, emotion is always positive. UNRESOLVED EMOTION: Energy is always conserved, it cannot be destroyed; it simply changes form. This law of conservation in conjunction with the principle of conductivity means energy can be the basis of memory because if energy moves according to a principle of conductivity, then the byproduct of resistance to such movement can serve as a record of such an event. Unresolved emotion is a physical record held in the body of the resistance experienced (no matter how slight) to the expression of emotion. The body of every animal serves as a data bank of resistance in regards to every experience it’s ever had, a track record of how things rate according to a standard of emotional conductivity. So while pure emotion as a current of energy can be likened to a current of water which requires a constant source to sustain its flow: unresolved emotion can be likened to water in its solid state, ice, and unlike emotion, it is cumulative. One can not hold on to emotion, but one can hold on to unresolved emotion. Unresolved emotion is how information of an emotional content is transmitted reliably through time, and is how animals receive information over distance. By this I mean, one animal can observe another animal that is acting prey-like and this can release unresolved emotion in the observers’ body and render it sensual over a distance just as if energy had been transmitted over distance as a wave. RESOLVED EMOTION: The resolution of unresolved emotion is facilitated by becoming aligned and synchronized with a triggering agent of unresolved emotion. Resolved emotion can be likened to water in its gaseous state, a feeling of contentedness and well-being that is ephemeral and the most fleeting form of emotion. Unresolved emotion can only be resolved by a feeling, not by a thought. Only the heart can resolve unresolved emotion. TRAITS: Emotion moves from a place with a higher concentration of energy to a place of a lesser one just as heat radiates from a warm object toward a cooler one. The relative heat values of two objects are their most primordial “traits.” The predator trait reflects the projection of emotion, and as an external influence on other animals, resists the expression of energy toward it thereby reflecting energy back at it, whereas the preyful trait absorbs the projection of emotion and conducts the expression of energy directed toward it. All complex traits (even personality) elaborate upon this primordial platform. DRIVE: Emotion plus stress (triggering of physical memory) strengthened by sexuality and guided by Feeling is Drive. Drive seeks to make contact with object of attraction and resistance to contact is converted to a stronger force of attraction by Temperament, or Heart. Drive follows the path of highest resistance, whereas instincts, habits, fear follow the path of least resistance. Drive is how the animal does nature’s work of evolution. THOUGHTS: The capacity to compare one point of view to another; or one moment to another: and all the concepts that follow from such a platform. EMOTIONAL CENTER-OF-GRAVITY: When emotion meets with resistance, unresolved emotion (stress) is formed and this accretes around the physical center-of-gravity as the physical memory of an emotional experience. The e-cog is projected onto complex objects of resistance in order to induce a feeling. FEELINGS: These are the emotional circuits. Emotional circuits are not contained within any individual. (Note that autistics have trouble with eye contact because this accesses the e-cog and so they have difficulty creating emotional circuits and going by feel. Autistics work off the mental aspects of emotion that are part of how the higher aspects of the nervous system execute the emotional phenomena.) When the emotional center-of-gravity is projected onto objects of resistance because the emotionally entangled parties recapitulate the principle of emotional conductivity in each other through their synchronized actions and mannerisms, (as object of resistance they first triggered each others’ unresolved emotion and by virtue of being prey-like they simultaneously attract each other’s emotion, in other words, they cause energy to reflect back onto the other and then give it the opportunity to move toward them, this is the circle again), all motion of affiliated parties eventually average out into a state of suspension, a wave function, and this FEELING when fully formed takes up residence in the heart. (This is why our hand irresistibly moves to the middle of our chest when we feel moved, whereas meanwhile emotional researchers are always focused on the brain.) All true feelings feel good because they add energy to the network. Feelings are an auto-tuning/feedback dynamic that implement the principle of emotional conductivity. HEART: Heart is a circle; it is the source of a true feeling. When a feeling is fully formed; the movement of entangled “parties” thereby inflects and add energy and nuance to the original feeling just as if it is a chord being plucked and so that the feeling continues to elaborate and evolve into complex social structures. In other words, there are quite literally, heart strings. Feelings elaborate like light waves propagate. In other words, the heart pumps waves. Heart is an engine of light. EMOTIONAL CONDUCTIVITY: The Brain-to-gut connection creates a “virtual” action potential in the body/mind so that on one fundamental level, consciousness functions as an emotional battery. Composed in this manner, the body/mind turns environmental inputs into emotionally ionizing events, in other words, physical energy becomes consciousness subject to the principle of emotional conductivity. A stimulus energizes the Brain in the head and this sensation of disequilibrium then needs to be “brought to ground” by being absorbed in the gut, i.e. converted into a smooth, wave action of the intestines, peristalsis. This is the principle of emotional conductivity: nerve energy of the Brain “grounded” internally within the digestive system by bringing external objects of attraction “to ground” and which thereby calms the physical organism. All complex objects of attraction either amplify or short circuit this internal connection. SEXUALITY: The processing of the emotional center-of-gravity so that it can be reflected back and forth and onto a common object. In other words, two individuals are sensualized in a complementary way so as to form a circle in their behaviors and in their manner so that feelings can evolve between them because their mutually complementary mannerisms and actions recapitulate the principle of emotional conductivity. TEMPERAMENT: Behaviorally, it is the mechanical aspect of heart, just as physiologically the heart organ is the mechanical pump of blood. Temperament is the capacity in an animal to perceive the predatory aspect relative to the preyful aspect and hold both in the same frame of reference around a midpoint, e-cog, in order to perceive a being composed of primordial traits, (Prey/Predator) and magnetic traits, (E,W,N,S). In the absence of this, instincts, habits (and in humans) thoughts end up running the show. PERSONALITY: A defensive response to the movement and/or vibration of the emotional center-of-gravity. FEAR: Fear is not emotion. It is a nervous sensation that results from the collapse of an emotional state of attraction. It is as close as the central nervous system can get to emotion and so it has been confused as such. Fear serves as a registration tag for deposits of unresolved emotion in the body/mind as an emotional battery. SOCIABILITY: The purpose of sociability is to externalize the internal wave functions of the body/mind into an external wave function which is observable as a current of synchronized actions. This reconstitutes a wave function which is a circle, and motion along a circle becomes information so that any physical material object or environmental energy that is incorporated into that wave function is now part of consciousness in service to its evolution. Physical objects and energy thereby become information and thus are capable of causing motive, i.e. creating an external action potential between beings that seek to possess such objects. Social behavior is a wave function that repeats itself by constantly creating new action potentials as psychic motive. HEART: The third self-contained, electro-chemical dynamo within every animal, the seat of the auto-tuning/feedback dynamic itself: the faculty of adaptability, sociability, the place in the body/mind where the energies of balance and hunger confluence and the divergent agendas of the two brains are reconciled by feeling the midpoint (the null or averaged-out value of all motion) around which all emotionally entangled parties orbit and thereby recapitulate for one and the other the principle of emotional conductivity so that unresolved emotion can be resolved. In this state, heart beats synchronize individual actions. I posted the comment below in the wrong article…it belongs here. This should be helpful for NDT practitioners. Maybe this article can be used by your readers to tweak the definitions, kind of like the aim of a Wikipedia entry. very cool definitions !!!! put in the book? I mentioned once that Robert Pirsig, who wrote Zen and the Art of Motorcycle Maintenance (ZMM) and Lila, is a process thinker who is easy to understand. He was, like Whitehead, influenced by William James. He never seemed to be aware of Whitehead, but he was influenced by F S C Northrup, who happened to be a student of Whitehead! Pirsig still lives in Vermont. In ZMM, Pirsig says that there is a ineffable creativity-force of the universe which he calls Quality, and which he likens to the Tao. Roughly, Quality is the continuing stimulus which reality places upon us to create [act within] the world around us. Like Whitehead and James, Pirsig sees our experience of the world as the first thing, and this experience is a dynamic outcome of Quality (which he often refers to as values, and even morality). Each momentary experience for Whitehead was an ‘actual event’, or ‘occasion of experience’, and for Pirsig is a Quality event. may give you some ideas to assist in thinking about the domains of influence and the boundaries of such things as quantum effects, genetic drive and sexuality, behavioral interaction, and reasoning and info signaling. I have found this to be one of the most innovative pieces of scholarship of a non-academic ever. 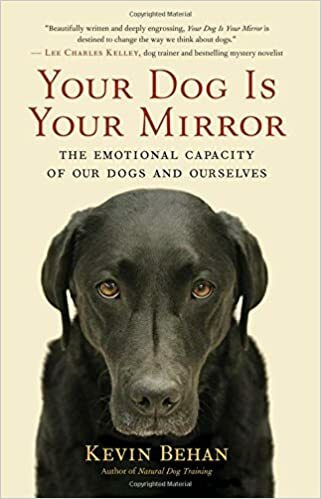 It never mentions dogs, but it is a lucid description of the evolution of the cosmos in which you are framing our furry buddies. I offer this as I know how difficuld Whitehead is. Unfortunately, Pirsig never gets far from human experience either. 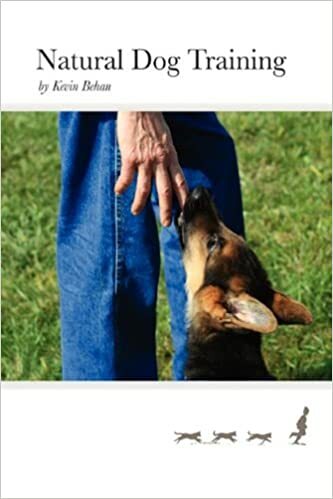 if the dog is able to hold preyful and predatory emotions concurrently at the emotional center-of-gravity (e-cog?) why is it not ok to chase the dog AND be chased by it ? Yes, in that case there is no problem, but since the predatory aspect of the human is so strong, it’s not something an owner should do, especially in light of how people typically chase their dog around which is the point of my comment. I’m going to post the push/pull exercise which is exactly the predator flipping to prey polarity. I also have to mention that the e-cog should be objectified into a bite object and this becomes the pivot point around which dog and man can orbit. The main thing is that there should be no loss of emotional velocity from being object of attention, to object of attraction. In other words, even when dog is object of attention it can still feel the object of attraction. a bit of chasing, then being chased sort of flip flopping. sometimes my dogs provoke me to chase them. they expect me to chase them…they turn around as they prance down the corridor and get disappointed when i am still stationary. also, they provoke each other to a chase, as part of their play “rituals”. with 2 of my dogs, they tend to carry the bite object away, in the hope that i or one of the other dogs. will give chase and try to pry it away from them and then they can chase the object holder. a lot of bite objects accumulate outside the dog door, since their urge to carry them outside is strong. …this might be a way for my dogs to say that they would prefer to play outside. …one of my dogs also has the idea that, to provoke a chase, bite the other dog’s back. please write more at some point about how to signal to the dog that I am not a “predator”, i.e. how to make sure the dog knows it is play, not serious.